Our mission is to preserve and facilitate access to the historical materials that speak to the various endeavors of Greek immigrant individuals and collectivities. We are casting a wide net in order to capture the diversity of opinions and activity that colour the Greek Canadian past. 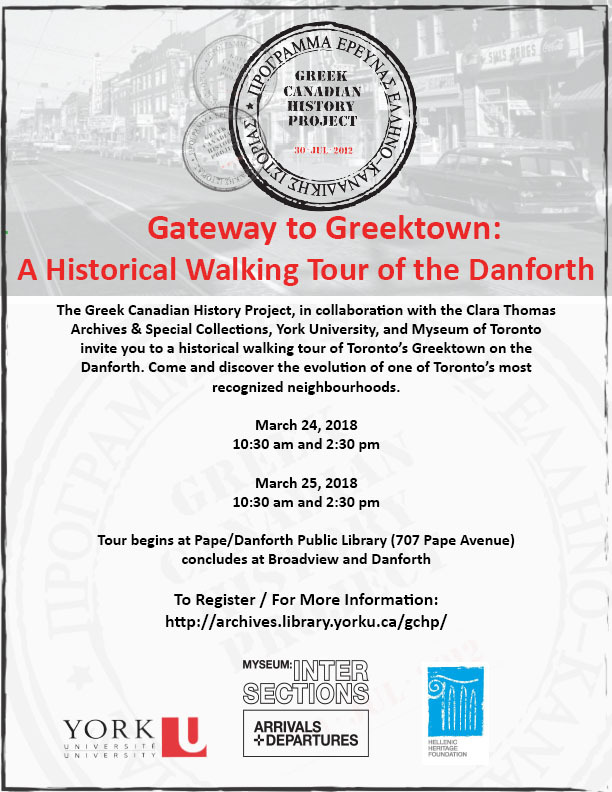 The Greek Canadian History Project is located in the Clara Thomas Archives & Special Collections of York University Libraries.